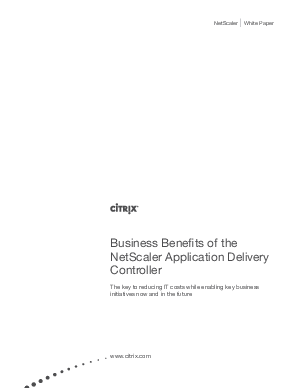 Take advantage of the business benefits of Citrix NetScaler while achieving your IT goals. FREE GUIDE shows how you can reduce infrastructure costs and total cost of ownership (TCO) while increasing security, user productivity and business agility. You'll also learn how to make initiatives like cloud and virtualization a reality.